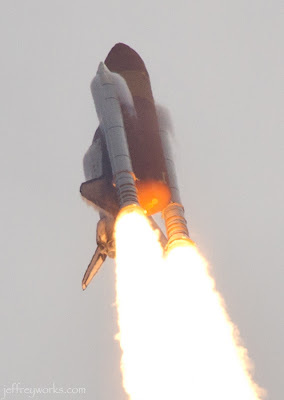 It's been over a week now since the Space Shuttle Atlantis lifted off into space. And I'm just now getting around to blogging about it! I've been so busy, and the amount of data I had to sort through was so great, that I simply didn't have the time to go through everything. But now I'm happy to share a few images with you. The Atlantis was special to me because I saw it from the beginning stages; a stripped down machine without wheels or an engine. 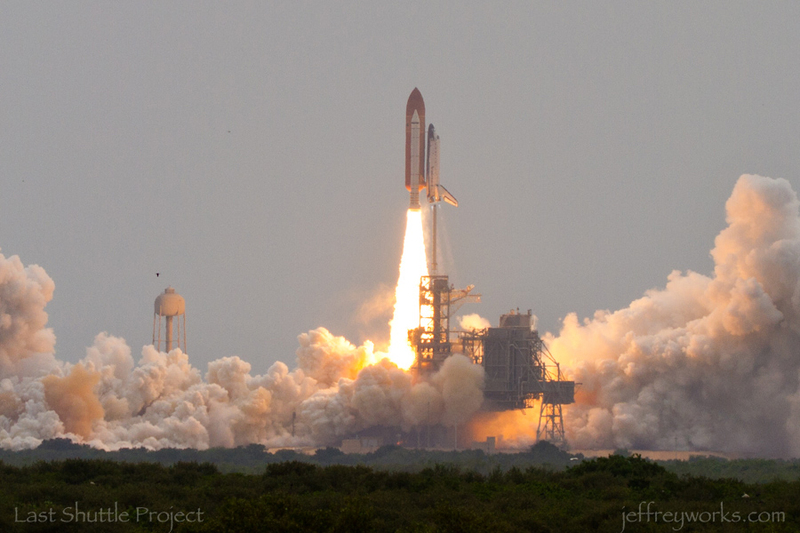 And I got to watch the progress as it was carefully prepared for this final launch. 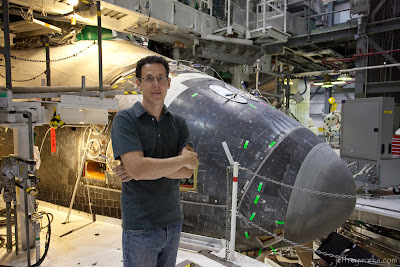 Here I am, last July, standing in the Orbital Processing Facility next to the nose of the Atlantis. 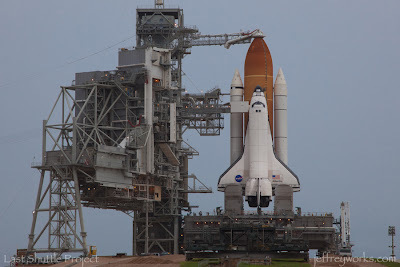 And here she is a year later, sitting on the launch pad for the very last time. I wasn't on the roof of the VAB like I was for the last two launches, but I still had a very unique spot over on Astronaut road. NASA has an elevated mound there, and it allows for a great view of the launch pad. Sony was very interested in our project, and they graciously donated a number of cameras that we places in different positions around the launch pad. This is one of the images that we captured from one of the remote Sony cameras. As the shuttle headed into the clouds you can see where strange vapor shapes formed over the solid rocket boosters. 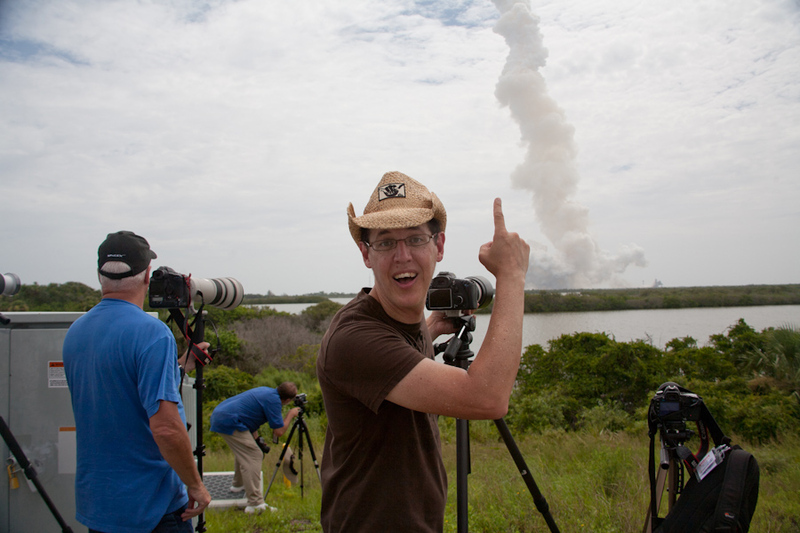 John Page, another photographer on the Last Shuttle Project, captured my reaction as it disappeared above the clouds. Have just found your project and blog. It's been an enjoyable reading through your journey and about your project. Awesome! Being from Australia and a massive space program geek, I've always wanted to witness a launch in person. Fortunately enough about a month back I convinced my boss for a few weeks off and headed over with my son. 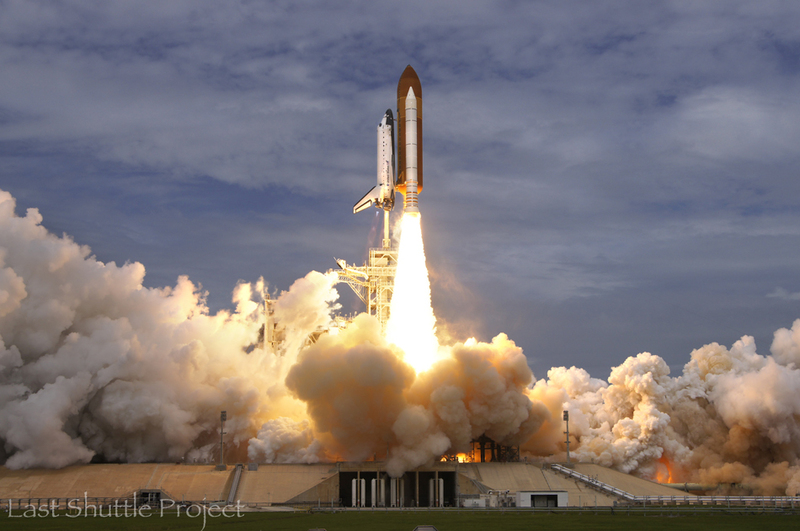 We managed to get to the NASA causeway for the launch and just loved the experience. I was taken by how emotional it really is. That is one part I wasn't quite prepred for. Deciding not to bring all my photography gear, I wanted to just watch knowing others would get far better pictures than I could at 6 miles.. Anyway, I look forward to you publishing your pictures, I'll be one of your first customers for sure. Again congrats on a wonderful project!